The Agusta Westland AW139 is a medium twin-turbine helicopter, produced jointly by Bell Helicopter Textron, Inc. of the USA and AgustaWestland of Italy. 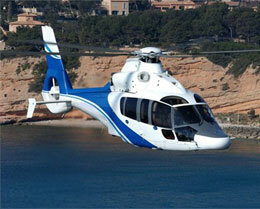 The AW139 features a spacious cabin, combining the benefits of proven technology with the most demanding standards. The AW139 is intended to serve for both military and civil customers and is capable of carrying up to 15 passengers at an extremely high speed. The AgustaWestland AW139 is a hugely successful aircraft that has had more than 500 orders since it was first certified in 2003. Extremely popular for government operations, the AW139 excels at VIP and corporate transport, though these are not the only types of missions the aircraft is capable of handling. One of the main selling points of the AW139 is its unbelievable cabin space, which is definitively the largest in its class. Accordingly, it's not surprising that the helicopter is so popular for VIP configurations; the spacious interior passenger cabin and wide seating is almost reminiscent of a comfortable business jet, a benefit that some helicopter enthusiasts may not experience too frequently. Although the AW139 comfortably seats six passengers in a standard seating arrangement, the cabin can be configured to hold up to fifteen passengers in a high-density seating configuration. Additionally, the cockpit can comfortably accommodate one to two pilots. If there were not enough positive things to say about the AW139, its cockpit is also as sleek, modern, and effective as the rest of the aircraft. Featuring state-of-the-art Honeywell Primus Epic avionics, the AW139 has an integrated digital cockpit as advanced as many of the world's most elite business jets. This modern avionics suite is designed to minimize unnecessary pilot workload, increase situational awareness, and consolidate vital instrumentation on concise, efficient displays. Additionally, the AW139 has the most technologically advanced Full Icing Protection System (FIPS) of any helicopter on the market. Truly a testament to AgustaWestland's commitment to keeping their products relevant and modernized, the AW139 is the epitome of modern helicopter travel and will only get better. The aircraft excels in all areas and has no clear disadvantages, making it an ideal option for VIP or executive travelers who want high-performance, comfort, and efficiency without unnecessary compromise or sacrifice. 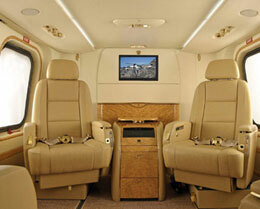 Beyond its incredibly spacious interior cabin, the AW139 also has notably impressive performance characteristics. 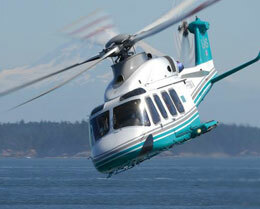 Its two Pratt & Whitney PT6C-67C engines each provide 1,679 shaft horsepower, giving the AW139 amazing range and speed. 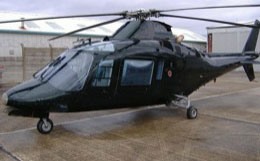 Able to travel a maximum range of 675 nautical miles, the aircraft has an enormous flight radius for a helicopter. Combined with its breathtaking maximum cruising speed of 168 ktas, the AW139 can travel faster and farther than the vast majority of the competition. It uses a five blade main rotor and features a retractable undercarriage which reduces drag by facilitating a more aerodynamic shape while flying. In addition to all of the attractive features the AW139 already provides, AgustaWestland is committed to continually improving the model as well as making additional features available to current owners and operators. Among other developments, increasing the Maximum Gross Weight is a high priority for the AW139, which will increase maximum payload as well as maximum range. For more information about chartering, leasing or buying a AW139 please contact us by calling +44-20-3874-8091 or send us an email here.